Implementing your sales and marketing strategies to grow your business is like playing chess. You have to think and plan way beyond your next move, because what you do next may have consequences farther down the line. Conducting research on your opponent in chess may give you valuable insight into whether they play defensively or offensively. In business, having information on your targeted customers is equally critical to understand their potential buying habits. When targeting medical professionals, that information can be found in MD Select’s medical doctor database. In the medical field, having access to a Canadian medical doctor database can be hugely impactful when developing strategies to conduct new client outreach. Gearing your B2B marketing to medical doctors is much more effective if you have some accurate information about them, and your Canadian medical directory database gives you instant access to a great deal of demographic information, from names and addresses to age and area of medical specialty. This is vitally important in the development of your sales presentation: you would certainly take a different B2B sales approach when targeting a newly graduated 28-year-old social media savvy medical doctor than you would when targeting a 64-year-old general practitioner who’s been the only doctor available in a sparsely populated rural community for decades. Two different doctors demand two different approaches, and having that data in advance helps you develop more effective strategies to reach them. One of the greatest advantages of subscribing to a medical doctor database is the convenient access to information it gives your sales team. On the road or in the office, sales professionals can log into their Canadian medical doctor database to conduct their research, download relevant data and continue to generation leads using the information available. It’s a digital gold mine of accurate, up-to-date information on over 83,000 medical professionals, along with hospitals, clinics and medical organizations. 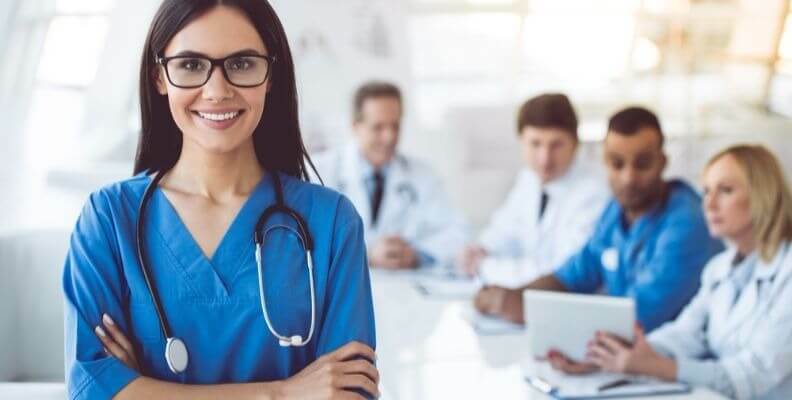 All sales efforts are enhanced when you and your sales team have access to a well-maintained medical doctor database providing clear and comprehensive data on each physician you may want to target. Marketing to doctors and physicians can be tricky, but they do control a ton of purchasing power. They are leaders in healthcare spending, which is why as a provider of medical products and services it is vital you reach them with your B2B marketing efforts. Utilizing a tool like a medical doctor database is a smart way to secure relevant data and develop your marketing strategy.